Effective leaders come in many forms, and Michelle Hertz knows this from experience. Throughout her nearly thirty-year career in the federal government contracts arena, Hertz has experienced many different leadership styles, ranging from the military’s command-and-control approach in the public sector to highly collaborative styles in the private sector. Today, Hertz is the vice president, general counsel, and corporate secretary of CGI Federal Inc., a wholly owned US operating subsidiary of CGI Group Inc. CGI Federal is dedicated to partnering with federal agencies to provide solutions for defense, civilian, healthcare, and intelligence missions. Before joining CGI Federal, though, Hertz began her career in federal government contracting with an elite internship with Naval Air Systems Command for high-potential professionals. During the three-year program, Hertz worked as a contracts specialist and pursued an executive MBA at the University of Virginia’s Darden School of Business. She thrived within the highly structured, multicultural military and civilian environment, which employed an authoritative approach to leadership. After completing the internship, Hertz worked by day as a government contracting officer while attending George Mason University Law School at night. After graduation, Hertz joined Holland & Knight LLP as an associate in its government contracts practice. There, she leveraged her practical experience and insights to build partnerships with and advocate for her diverse government contractor clients. As a practitioner, she found herself drawn to working more directly with her business partners. As a result, when the opportunity arose for her to move in-house, she took it. Over the past thirteen years, she has held various contractor-side counsel positions of increasing responsibility at several firms, experiencing both hierarchical and collaborative corporate cultures. When Hertz joined CGI Federal in April 2010, she was the company’s only attorney. At the time, CGI Federal was a $400 million company. A few months later, CGI Federal acquired Stanley Inc.—a firm twice its size—to become a roughly $1.2 billion company. To meet CGI Federal’s growing needs, Hertz had to build her team on the fly while also growing into her role as a leader. She currently leads a small but efficient team of more than sixty compliance and contracts/subcontracts professionals. Over time, she has matured her approach from a single contributor into a working manager. But just as there are no universal leadership styles or approaches, there is no single general counsel archetype that Hertz emulates. She has, however, always appreciated people with a genuine approach and aims to be authentic for her staff. “It is essential for me to be true to myself as I fulfill my role and not simply play the role of a general counsel,” Hertz says. As a result, Hertz has evolved her own style by taking the best practices from each professional experience. The approach she adopted is to be available, informed, supportive, and selectively hands-on. Hertz employs a flexible communication style, emphasizing formality where appropriate and using humor as a rhetorical tool. She doesn’t play against type, but she does play to her audience. “Leadership is a very relative term. The most important thing I can do is fulfill that role in a way that resonates and is meaningful to my team and clients, and help them make informed and timely business decisions,” Hertz explains. 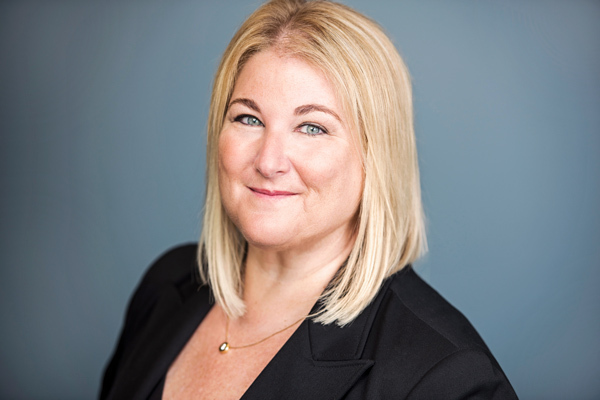 Regardless of the delivery style used in a given situation, Hertz emphasizes that her focus as CGI Federal’s general counsel is to develop pragmatic business solutions and deliver advice that enables executives to make sound decisions on behalf of the company as a whole. With Hertz at the helm of her team, CGI Federal is poised for continued growth in the federal marketplace. RJO values our relationship with CGI. We congratulate Michelle on being recognized for her leadership. And we thank her for the trust she has placed in us. RJO is a focused firm that delivers positive results for government contractors and others. To learn more about the firm, visit rjo.com. Williams & Connolly greatly values the opportunity to represent CGI Federal and work with Michelle. With her relentless focus on efficiency, ethics, and excellence, she exemplifies the best of the profession, and CGI Federal is recognized as an industry leader. We are proud to partner with Michelle and CGI Federal.